Thanks to the design and manufacturing of the products, entirely made in-house, Tastel can meet Clients' most demanding requests by accurately following the standards required. 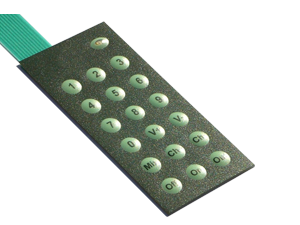 Membrane keyboards were created from the need to have an application range that was greater than the one provided by traditional mechanical keyboards. The materials membrane keyboards are made up of are more resilient to chemical agents, thereby providing a greater protection against dust and humidity. So it is possible to use this technology on CNC machines, electrical appliances, electrical and electronic devices, even if they are subjected to heavy-duty applications. Thanks to the opportunity of producing them in a wide variety of shapes and colours (with raised keys, see-through windows, built-in LEDs and metal caps), they can be used in cases where design is an integral part of the product. The adhesive labels made of polycarbonate or polyester can be applied on different surfaces in terms of shape and size, such as metal and plastic panels or similar equipment to decorate the appliance or indicate the model, features, functions and features of the product or brands. 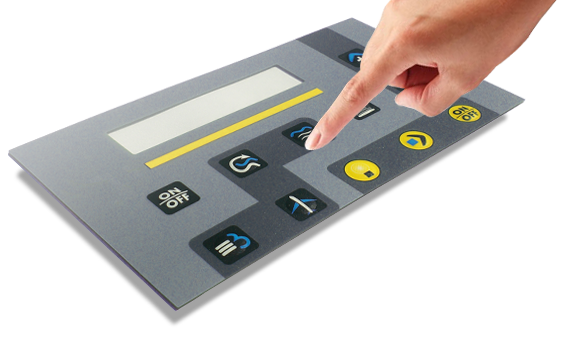 Synoptic panels or the front panels only consist of the front of membrane keyboards and can be made in various shapes and colours, which means they have a variety of applications whilst they retain the IP protection of membrane keyboards. 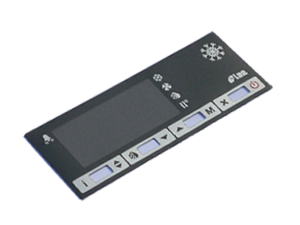 Synoptic panels have the same features – such as raised keys, see-through display elements, LEDs, shapes and colours – of membrane keyboards. 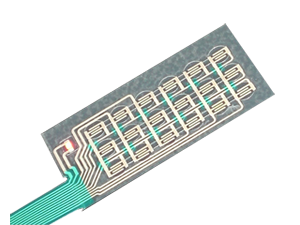 Flexible circuits are made by applying conductive paste (with a silver base) on a polyester film with a silk-screen printing process. Electrical part of membrane keyboards are used as simple circuits where it is necessary to contain the overall dimensions and/or connect several components on different levels. Thanks to the technology applied it is possible to create 0.2 mm thick single or multi-layer flexible circuits with a 1 mm pitch, thereby considerably reducing overall dimensions. They can be supplied with adhesive to make assembly operations easier. 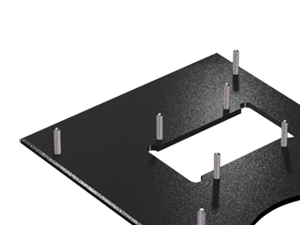 Rigid supports are mainly made of metal or rigid plastic material, providing an excellent adhesion of the adhesive that supports the keyboard. 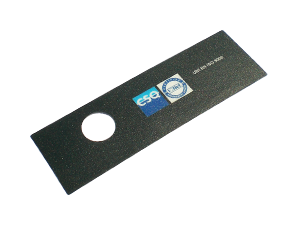 They are used as a rigid base to apply membrane keyboards, synoptic panels or to assemble electronic boards, displays and other components. The supports can be integrated with threaded inserts and/or designed to be fitted with unified fastening systems. Supplied with membrane keyboards or synoptic panels, they make it easier and quicker to assemble them with other equipment.